I’ve been an xtracycle fan and user for over 9 years now, and I’ve managed to load all sorts of things like beds and compost and plants on my freeradical. When I revamped my wheels for carrying precious cargo that like to climb and hop and jump, the Kickback was top on my list. It really does make the bike stable enough for my son to climb on top the bike by himself. 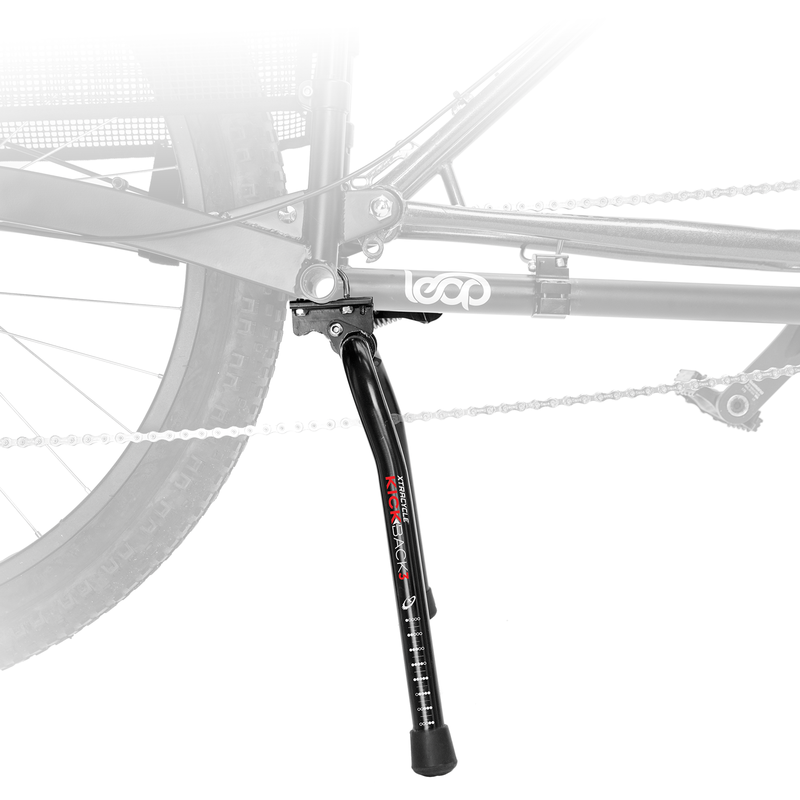 It functions just like a motorcycle centerstand, and it super easy to use and kick off of when we are ready to go. 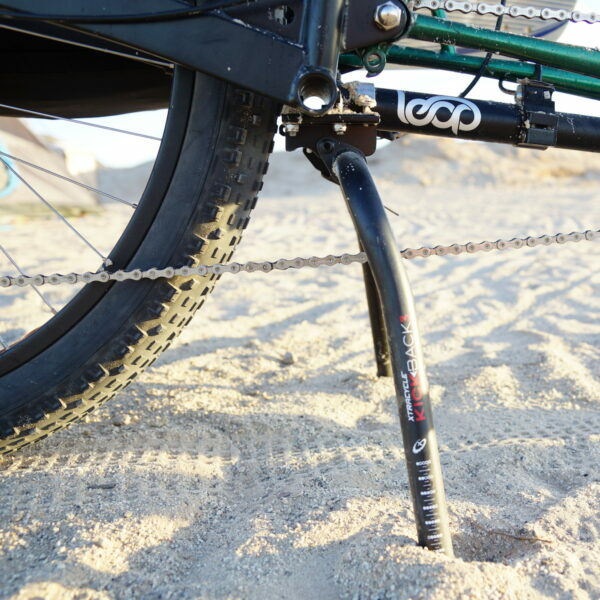 This kickstand is central to our safe riding with our kid or the occasional heavy cargo load. I wouldn’t trust any other. I am also looking for replacement feet xtracycle dealers near me say they are unavailable? Hey there, Douglas! While we don’t have any KB3 feet available, the good news is the feet are a common hardware store item and easy to replace. The feet are just regular 7/8″ rubber chair end caps that can be found at any hardware store for a few dollars, typically under $3 for a set of 4. Wrapping some duct tape on the end of the KickBack leg before you slide it on there might help it stay more firmly installed on the leg for the future. I hope that helps! Hey there, Jim! 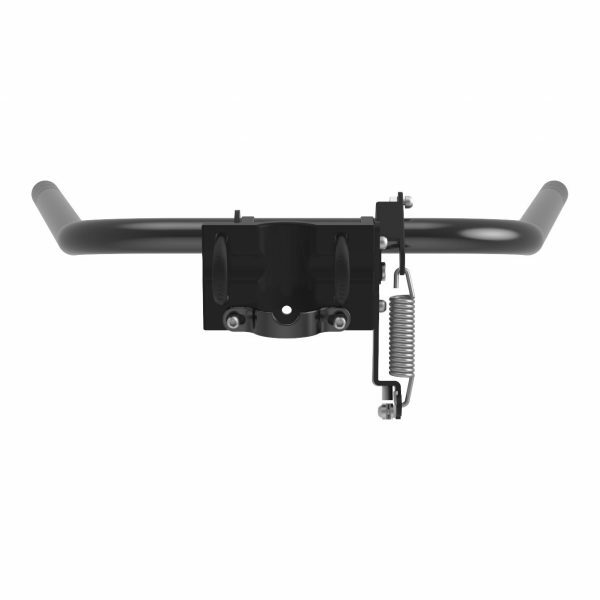 While we don’t sell replacement KickBack legs, replacing them is super simple! 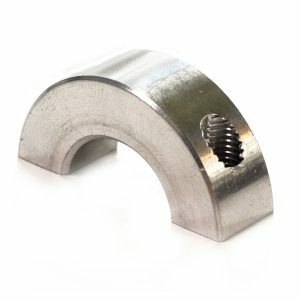 The KickBack leg end caps are just regular 7/8″ rubber chair end caps that can be found at any hardware store for a few dollars, typically under $3 for a set of 4. You can also find some on Amazon here. Wrapping some duct tape on the end of the KickBack leg before you slide the end cap on there might help it stay more firmly installed on the leg for the future. I hope that helps! Hi, I own a cargo node. Would this stand fit the cargo node? Is this more sturdy and more stable than the original stand on the cargo node? Hi Shunhui! Yes, the KickBack3 is designed to fit the CargoNode as well. It is wider than the KickBack2 and more stable for unloading and loading. 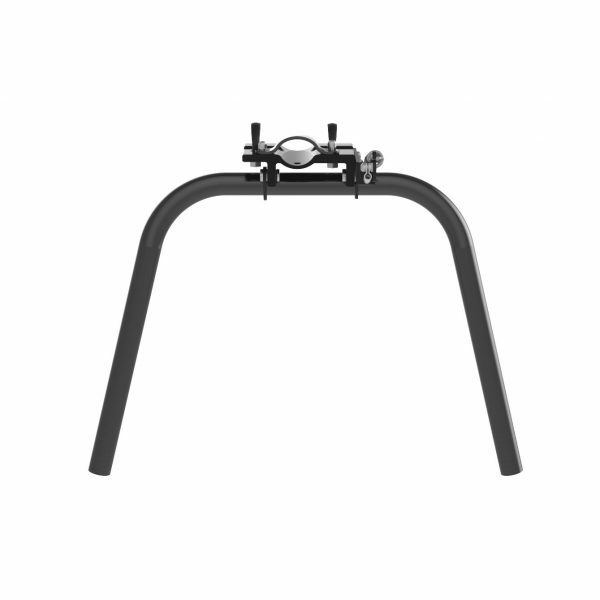 My favorite thing about this stand is that you just push the bike forward to release – no need to shift your weight or adjust your foot – just start riding when ready and you are good to go. This does a great job of keeping my bike upright, even with pretty big loads. The Kickback is fantastic. It is easy to deploy and holds the bike solidly for loading, even of awkward loads. Have had it on there for years. Shock cord return wore and broke after a couple of years and in about ten minutes I was able to simply shorten it and keep using it and it has not broken again several years since.There are only two downsides. First, it is a bit difficult to put on the Wideloaders (tip: disconnect the return cord first). 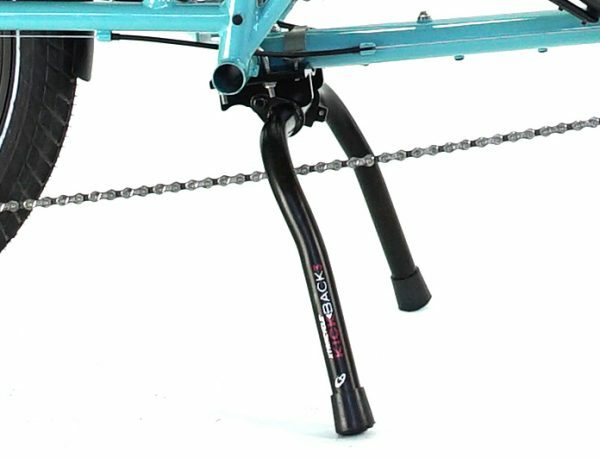 Not a huge deal.Second, if one wants to run an internal hub and not have a chain tensioner (say by using an eccentric bottom bracket–EBB), chain routing cannot be straight as the chain would have to pass through the Kickback and would be crushed upon deployment of the stand. Workaround is to route the chain above it all using a roller mounted to the bike frame, but that is almost as cumbersome as the tensioner an EBB would replace.Overall a wonderful product that I would not be without on a cargobike. The Kickback is so easy to install and works with out any issues and is easy to adjust when needed. I am extremely happy with how stable and well designed it is. 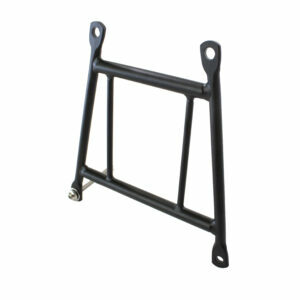 This heavy duty kick stand is key to enabling maximum duty performance from a cargo bike. I can load and unload big hauls without fear of the bike tipping over. 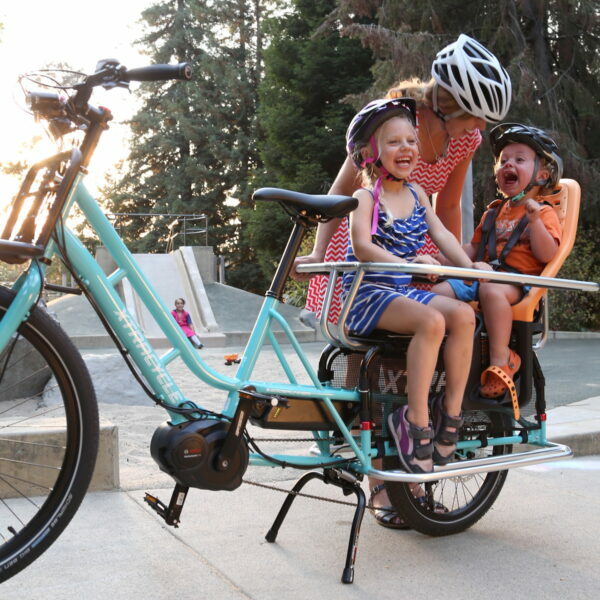 Almost didn’t order one but glad I did, the stability of the kickstand adds peace of mind when I have 3 kids wiggling on the back. I can walk around and load gear and kids without worry of it falling over. I also like the fact you can adjust the kickstand height as well. Just pretend this is part of the cost of the conversion kit and not an expensive extra, you’ll never regret it. The KickBack is just essential to have. Yeah, I suppose the kickstand that comes standard would work, but spend the money and get the KickBack. Totally worth it. 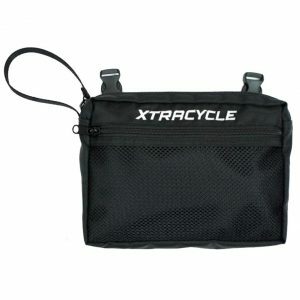 These things just plain work and are essential for anyone loading or unloading their Xtracycle. I used on in conjunction with a kid carrier and always felt safe having the kid supported with the KickBack. Get one – it is worth it! I’ve been using my KickBack since its inception in 2008. Fresh out the box, baby was a game changer for how I used my Xtracycle longtail cargo bike. No more fear of, “Did I unload the right side first?” No more weak, floppy, bending aluminum kickstands. No sireee! Now I can go totally hands free, leaving my bike to my trusty KickBack and off I go on my errand, adventure, or random curb find.You may want to get an extra spring as they do stretch over time with use, but I even took my stand with me on a Ecuador-Peru bicycle trip and it was an essential part of my kit. 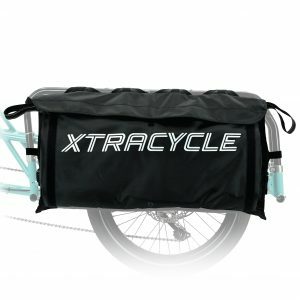 Don’t buy an Xtracycle without one! Can this fit on the Tern GSD? Hey there, Jason! Unfortunately this kick stand will not fit on that bike.